Do you remember the days before AC Moore, Michaels or Hobby Lobby? Do you remember when a ‘craft’ store was two aisles in a department store consisting of cheap yarn, paint by number, glue and pipe cleaners…maybe some plastic flowers? Do you remember when Handmade was truly Handmade? Imagination was everything with limited supplies available and no Pinterest, Etsy or even Internet….. I remember creating trash bag wreaths with my Mom, yes it was true ‘trash to treasure’ before it was cool…we made them for Christmas gifts for teachers, neighbors and friends…they consisted of trash bags, a hanger and plastic holly. Similar to the image below….remember Mom ? 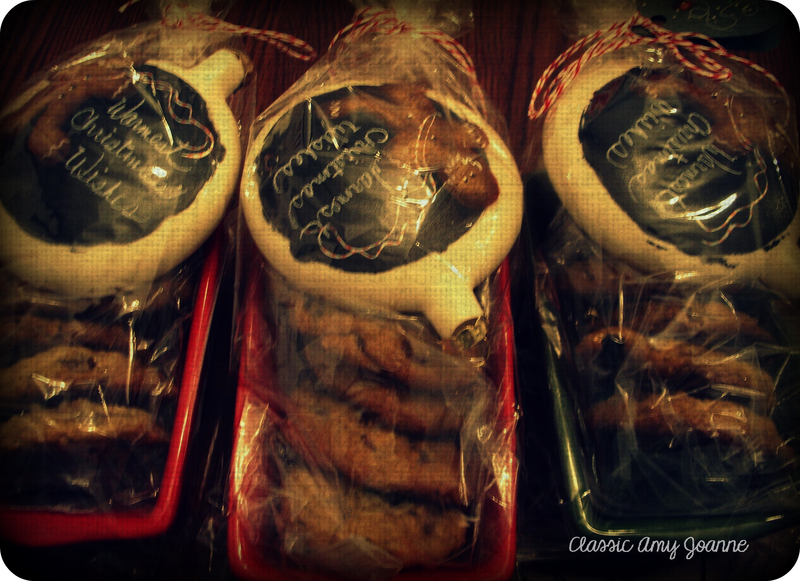 Over the past couple of weeks I have been creating my own Christmas gifts for friends, neighbors and co-workers. Although today we have a variety of supplies at our fingertips and being a Decorative Painter, I have the skills to create beautiful gifts on a budget. 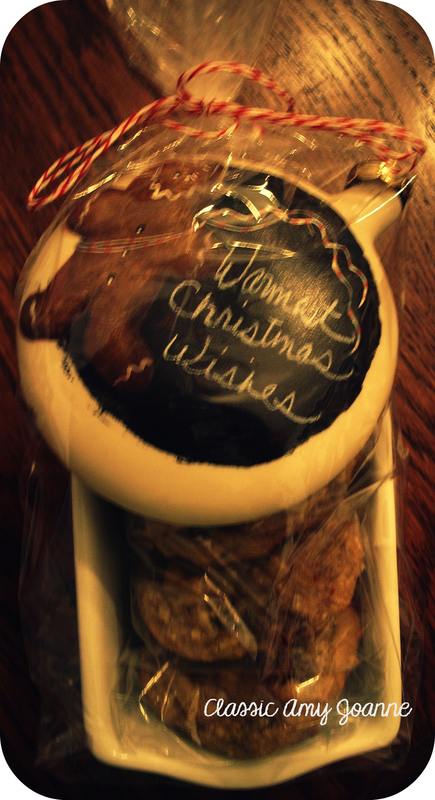 This year I created the below gift, costing less than $10.00. 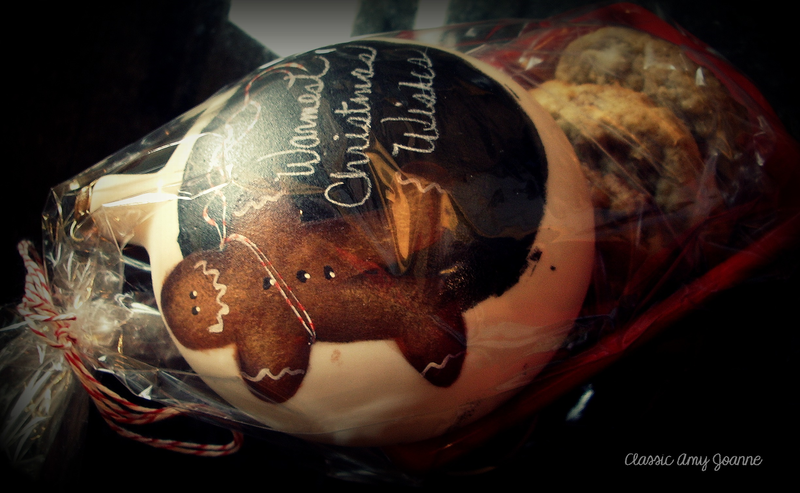 I used a porcelain ornament, a $1.00 cookie bowl, plastic bag, bakers twine and cookies. 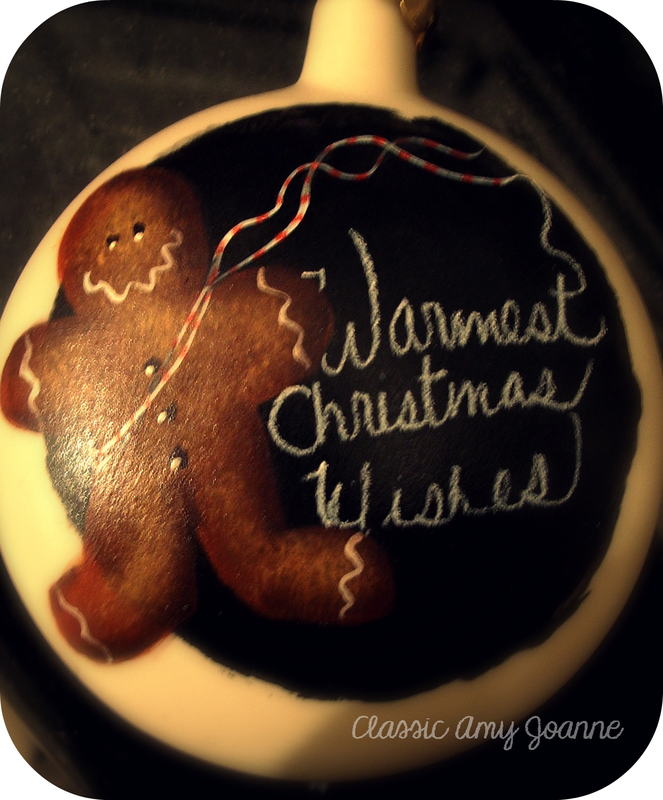 The options for this gift are endless….since I was painting 20 ornaments I chose a ‘roughed’ on chalkboard background and a simple cookie design. I added a message with a chalk marker and sprayed to seal. The backside has the date and my signature. If time permits I may pencil a gift tag to match. Another amazing post. Love your beautiful gifts. Anyone would be thrilled to receive them.